The final @clairestelle8challenge prompt was fairly open-ended. It simply calls for glitter, which could result in just about anything. Since I finished all of my untrieds, I wanted to take this opportunity to revisit some of my most loved shades. 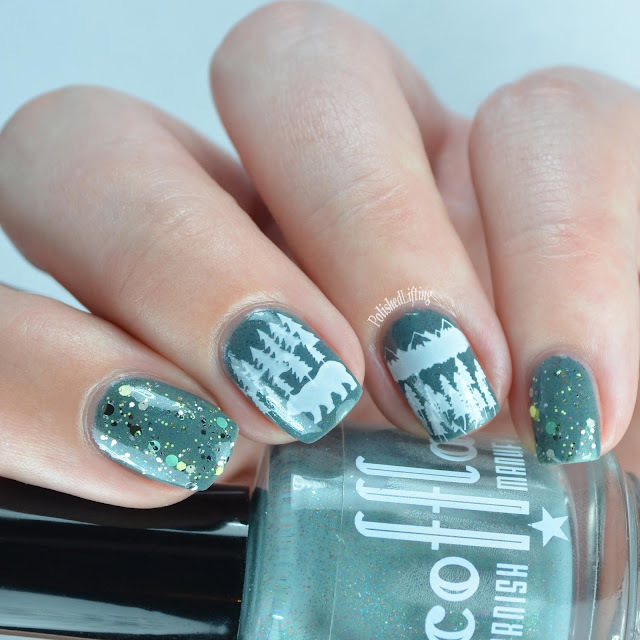 Scofflaw Nail Varnish Love Letter to Bob Ross/Happy Little Tree duo holds a very special place in my heart. I've always enjoyed Bob Ross, and I feel like this duo does a wonderful job representing some of the wonderful colors he used. As a tribute to the show, I felt it would only be suiting to do a nature-themed mani. 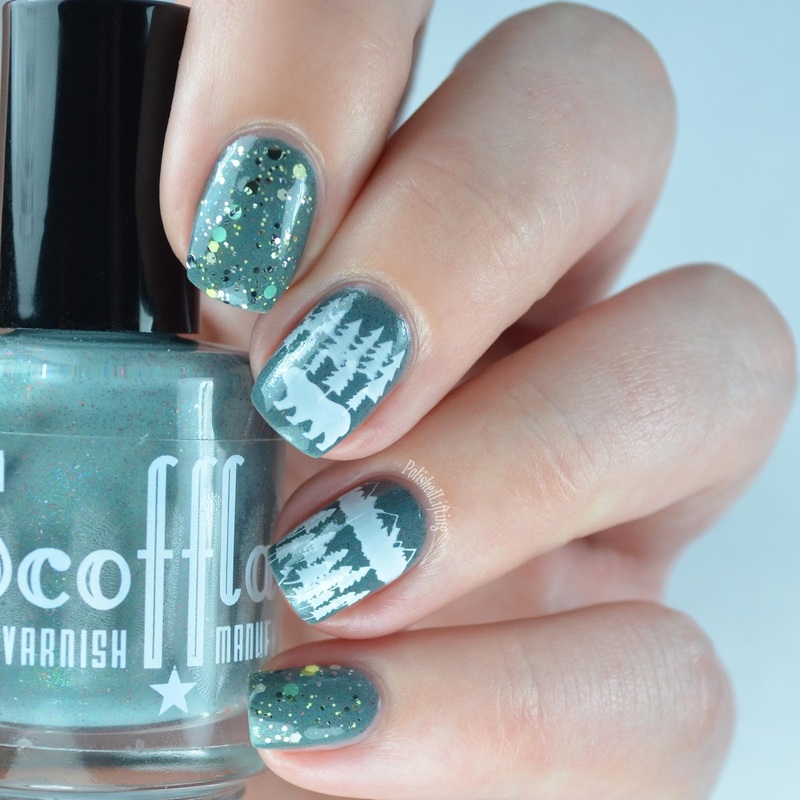 If you would like to pick up the Bob Ross duo, it's currently available in the Scofflaw Nail Varnish shop for $17.